The market share for electric cars in Norway could pass 50 per cent in 2019, according to calculations based on the survey Nordic Electric Car Barometer 2019. According to calculations based on the Electric car barometer 2019, an estimated 78,000 Norwegians are planning to buy a new electric car in the next 12 months. With estimated total sales of 150,000 passenger cars, the market share for electric cars could pass 50 per cent in Norway in 2019. Last year, 32 per cent of new car sales in Norway were an electric car. “Most Norwegians are now ready for electric cars. Now governments must follow up and make sure that enough charging stations are built for all the electric cars that they encourage people to buy.” says Christina Bu, Secretary General of the Norwegian Electric Vehicle Association. In addition to the new car sales, there are also people who are planning to switch to a used electric car next time they buy a car. This suggests that the market for used electric cars is getting bigger and more accessible to those who do not buy a new car. “If we are to achieve the goal that all new cars are zero emissions by 2025, all these barriers must be solved.” says Christina Bu. For those who are considering an electric car, free or reduced toll is the most important advantage over tax exemption and lower operating expenses with electric car. “The result clearly shows that it is still very important to continue the electric car benefits up to 2025. This development does not happen by itself, a fact illustrated by the markets in our neighboring countries.” says Christina Bu. And she is not alone in this belief; 65 per cent of the Norwegian population agree that tax benefits are an important incentive for Norwegians to buy an electric car the next time they change their car. Only 11 percent disagree with this claim. The survey has also been carried out in the other Nordic countries and the results show that demand is much lower than in Norway and that the purchase price for electric cars is the biggest barrier. Electric car barometer 2019 was carried out by Opinion on behalf of the Norwegian Electric Car Association. A representative sample of 1000 Norwegians over the age of 18 is asked what they are planning for buying cars in the future and what they think of electric cars. The survey was conducted in February / March and was presented at the Nordic EV Summit 2019. Download the PowerPoint presentation from the launch of the Nordic Electric Car Barometer. 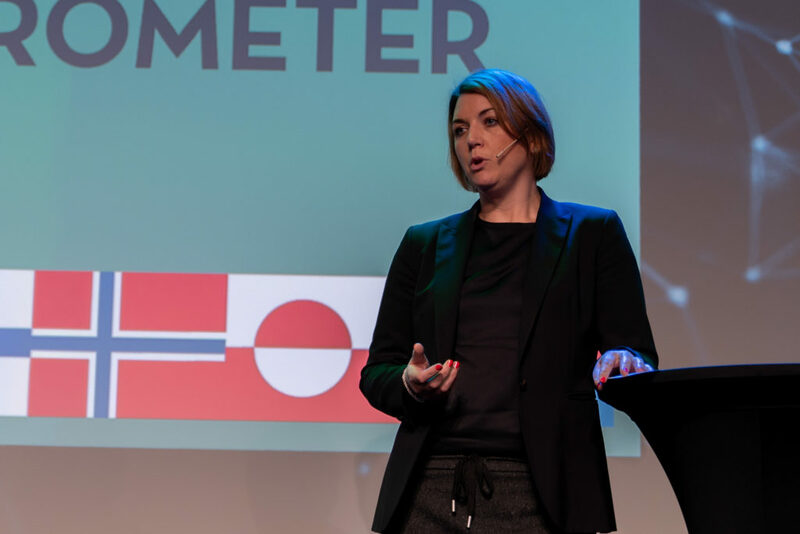 Christina Bu, General Sectary of the Norwegian Electric Car Association, discusses findings from the Nordic Electric Car Barometer at the Nordic EV Summit 2019 in Oslo.